Cannabis derivatives, such as wax and shatter are becoming increasingly popular across the legal states in the United States. Alongside such cannabis products, the need for vaporizers that work with them is also growing. One of the companies that fulfill this a growing need is Linx in Los Angeles, California. 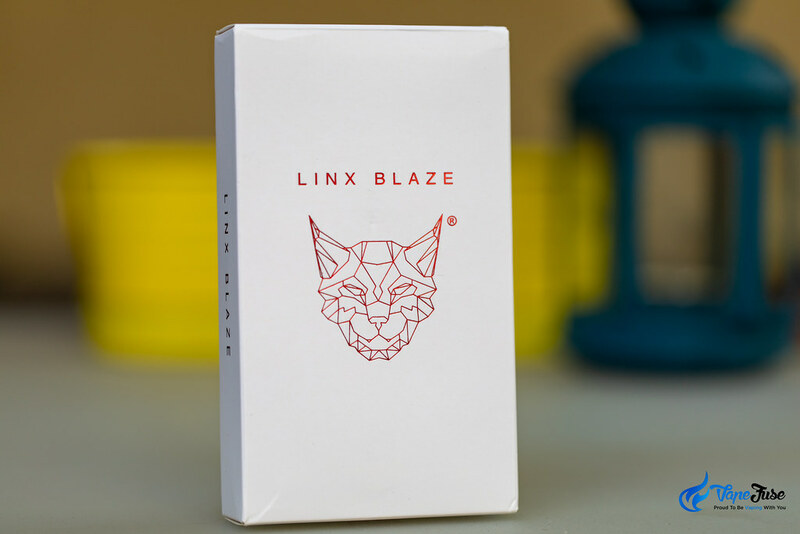 Linx has been manufacturing wax vapes for a while and we got to test their latest product, the Blaze. The Linx Blaze is a stylish but simple wax vaporizer with a 510 thread, 950mA battery. This little but powerful vaporizer is designed and built very well. The product feels quality as soon as you hold the box in your hands. Within the nice white box, you’ll find your vaporizer and accessories nicely packed into a carry case that also bears the logo on it. 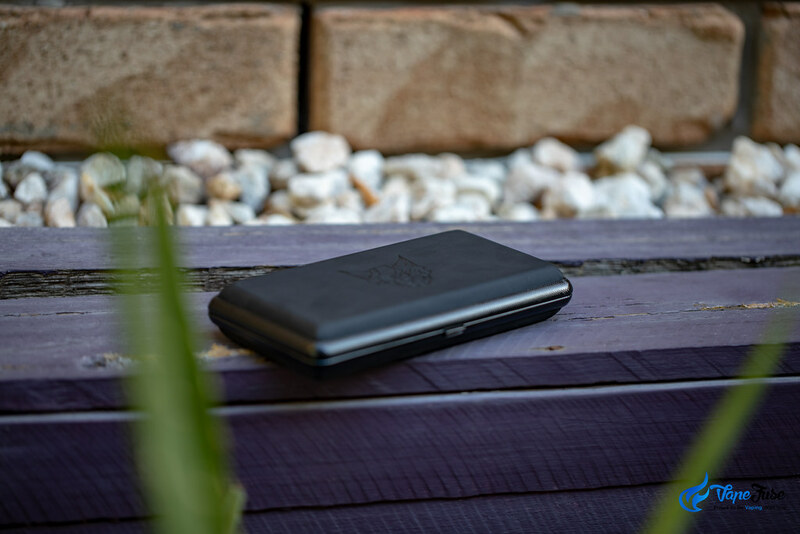 This functional and well-designed carry case is perfectly suited to house your vape. 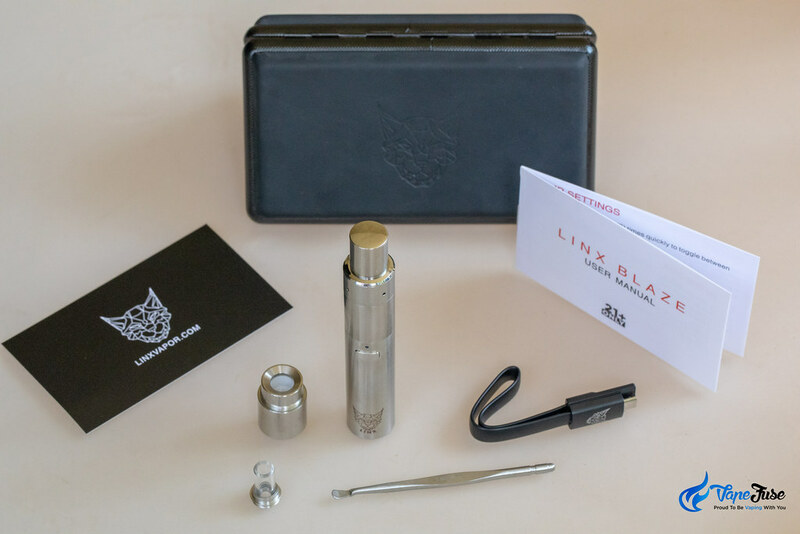 The Linx Blaze extract pen comes with a magnetic mouthpiece cap, that you can put on and off quickly. This is very useful to avoid any small objects hanging around in your pocket getting into the mouthpiece… and ultimately to your mouth. The Blaze is an awesome vape all around, however, the biggest features are the atomizers that come with the device. 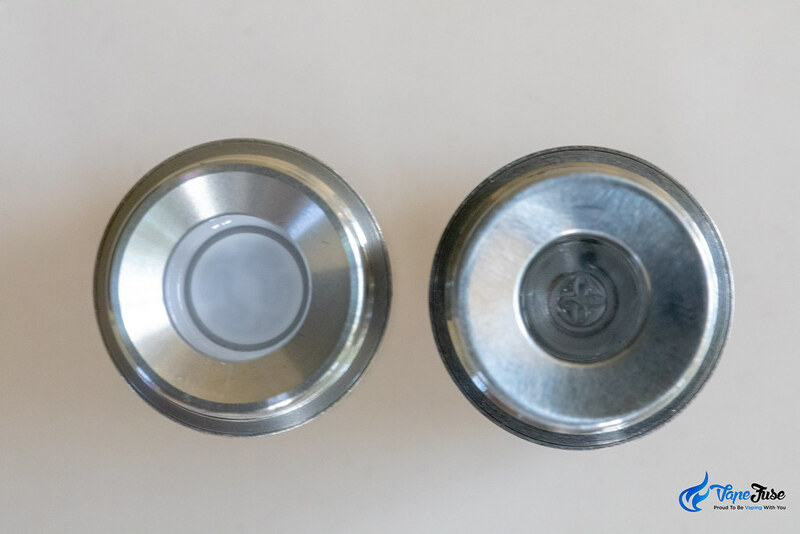 The Blaze features an innovative in-laid heating full quartz atomizer and an extra large recessed ceramic plate atomizer for superior life span, incredible vapor production, and awesome flavor. The Blaze features a vapor path that includes medical grade components resulting in exceptionally fine vapor quality. Before you fire up your brand new Blaze, it is recommended that you charge the device first using the provided USB charging cable. After your battery is fully charged, you can connect your preferred atomizer and you are ready to vape. Press the button 5 times in a sequence to turn your Blaze on. The LED above the button flashes 5 times to indicate that your Blaze is on. Next step is to unscrew the mouthpiece from the atomizer and load your waxy material. Aim to use wax that is less than a grain of rice in size for one load. Larger pieces take longer to heat up, drain your battery and less effective than smaller amounts. The Blaze has 4 temperature settings and you can toggle between them by pressing the button 3 times in a sequence. I suggest trying all 4 and decide which one suits your vaping style the best. Once you settle on a temperature setting, all you have to do is hold the button and inhale. After holding the button for 15 seconds, the LED will flash white 10 times. Release the button and press and hold if you’d like to draw again. Simple as that. Maintaining the Blaze is just as simple as using it. With a little care, your vape and atomizers can last for a long time. Screw off the mouthpiece and remove the filter using the supplied dabbing tool. You can soak the filter in isopropyl alcohol for up to a couple of hours. To clean the atomizer, you can set your temperature to red and hold the vaporizer upside down above a paper tower. Press the button and heat your vape to burn off any residual materials. Next, use a cotton q-tip (dipped in iso) and lightly brush the surface of the atomizer. Ensure to wipe off any iso before you use your Blaze again. The Linx Blaze is an awesome wax vape all around. It is well thought out and designed with the user experience in mind. The 2 innovative atomizers both work exceptionally well and can make very good use of your wax. The borosilicate mouthpiece is a nice touch and adds a great finish to the medical grade vapor path. It is also well protected with the supplied magnetic mouthpiece cap, making it a perfect on the go vape. I would highly recommend the Blaze to anyone who is on the market for an awesome wax vape that enables you to enjoy vaping waxes on the go as well as at home. It utilises your wax exceedingly well and produces massive clouds of flavorsome vapor. Please feel free to let us know if you have any questions or if you have any experience using the Linx Blaze concentrate vaporizer yourself. Arizer Air vs Air II – Which Arizer Air Portable Vaporizer is the Best for You?